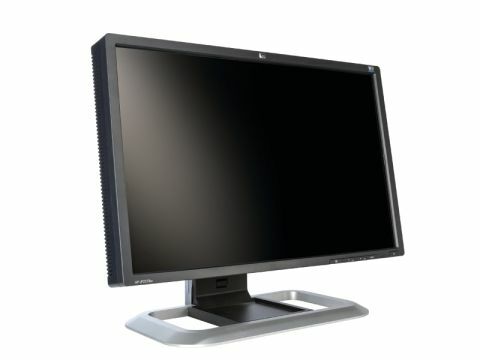 Will this 22" PVA-panel monitor make the most of its technological advantage? Such is the dominance of TN panel tech in the 22-inch monitor segment, there's barely any genuine choice in terms of image quality: they are very samey. Kudos, therefore, to HP for sticking it to the market with this new PVA-powered product. Its advantage over the TN is impossible to miss. The saturation and richness of colour rendering is in another class, as are the depth of black tones and stable viewing angles. It's a bloody lovely monitor. Bung in a fantastic chassis that adjusts in every which way, as well as both DVI and DisplayPort connectivity and what's not to like? Well, the 1,680 x 1,050 native resolution looks stingy compared to the latest 1,080p models. Lovely though the HP's PVA panel is, the market has moved on.